My name’s Steve Caruso, and I live in Highland Park, New Jersey with my wife Nayla, our wonderful daughters, Eli and Abigail, sons, Harry and Ozzie, and our black (originally barn) cat, Tober. I am tenure-track faculty at Raritan Valley Community College where I teach Multimedia, Web Development, and Computer Literacy. I am also in charge of the new Digital Media program which will be replacing Multimedia and Web Dev in the coming year. I translate Ancient Aramaic (the language of the Babylonian Empire, Jesus of Nazereth, and the Talmud) professionally for Aramaic Designs and AramaicNT.org as my day-to-day vocation, and do Aramaic language-related consulting and grant work (previously working on the CAL and the Mandaic Book of John) and various other hobbies on the side. 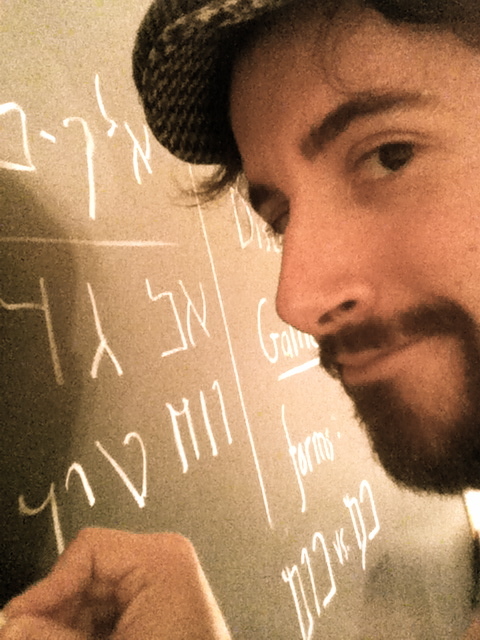 I also keep track of Aramaic in the media and academia over at The Aramaic Blog. My wife, my sister Liz and I put our respective talents together and started a hobby business, Caruso Kith Kin & Co LLC, where I do horological and numismatic work as well as pewter casting and handicrafts. You can read more about what I’m up to under my “Current Research“ section. Besides that I am a member of the Episcopal Church, and am fond of the old, folksy Anglican traditions. In formal education, I have a BA in Information Technology and Informatics (aka. ITI; for those who aren’t familiar with the field, in my opinion it’s best summed up as “the sociology of human-computer interaction”), and I hold a Masters of Library and Information Science (MLIS) from Rutgers University, a terminal degree in the field of Library Science. My Facebook profile is here, which I update occasionally.